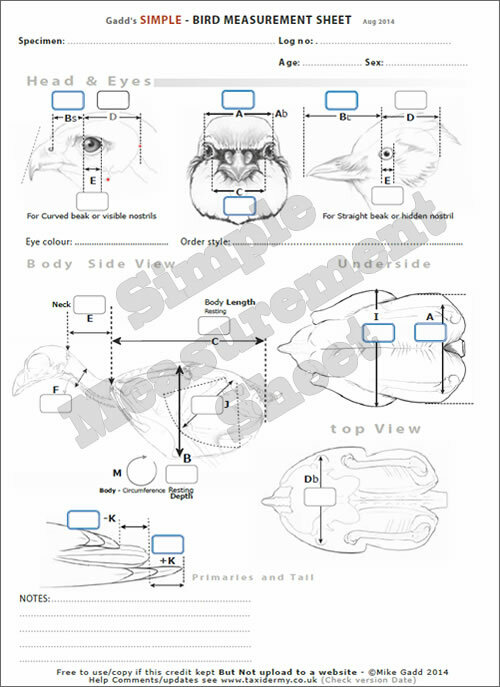 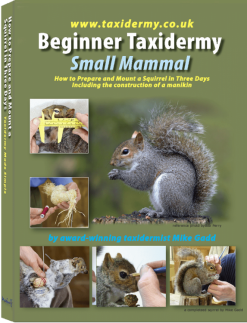 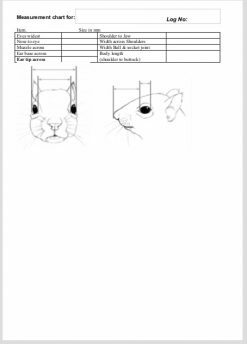 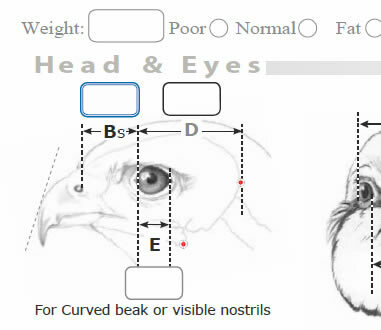 Bird Taxidermy Measurement Sheet Simple – Version: Jan 2014 – see also Standard Version. This is the simple version if you are not familiar with measuring or a beginner this may be better for you. 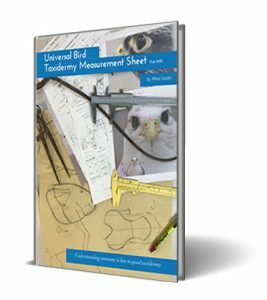 If you have problems understanding any area or feel you might benefit from seeing how and why I take these measurements take look at the bird measurement help Book I just ask the price of a coffee to help towards the effort of making this. 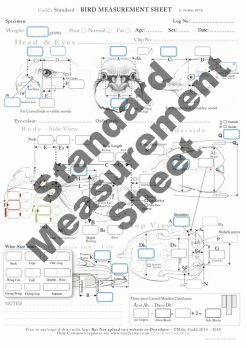 This is a PDF to help you understand How and Why I use the measurement sheet.